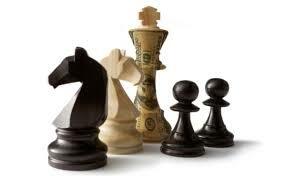 After decades of running small business enterprises (SBEs), I completely own the “cash is king” concept. No cash? No way to cover basic overhead, let alone fund new business opportunities. That’s why when Tom Hartlett contacted me about his company, Liquid Capital Solutions, I had to blog about it because most SBEs are under capitalized & many go out of business due to a lack of access to capital. Therefore, having multiple financing solutions is critically important to small business success. Even though Tom spent most of his career working for a large reinsurance company, he understands the challenges growing SBE’s face. He’s heard stories all his life – first from his dad’s 25 years as a contractor throughout southern Connecticut. Then, his older brother, Ted shared his; after being downsized by a consumer products company in the ‘90s, Ted launched and has grown several businesses in the digital media space. Today Tom is enjoying being his own boss. He runs Liquid Capital Solutions, an independently-owned working capital and trade finance company that is part of Liquid Capital, a Toronto-based organization with a network of 80 principals throughout North America. Dan Gallo: Welcome to The Small Business Lifer. Tom, let’s get right to it: Tell us about Liquid Capital Solutions. Tom Hartlett: Thanks for the opportunity, Danny. I focus my efforts on the SBE market, predominantly those in the B2B space, where we have a variety of products to give small businesses the working capital they need to finance growth. Dan: This is a critical service in this economy where most of us SBE’s don’t have a bank line of credit and depend on our paying customers to fund our operation. Tom: Right, and that’s why I’m excited about this business! Many small businesses don’t have a lending relationship with a bank. And the ones who do, well, their banks say “Sorry, you don’t meet our standards so we can’t provide you with additional capital.” It’s very frustrating for small businesses that have the opportunity to grow but not the cash to fund it. They might need cash to fund purchase orders, expand operations, purchase new equipment, or simply to better manage cash flow. Our programs are customized and flexible, and cash is often available in a few days. One of the reasons our services have widespread appeal is we don’t require long-term contracts. Dan: Tom, you just identified with the majority of US-based small businesses. Let’s dig in a bit, please profile a few of the services you offer. Tom: Our flagship service is Accounts Receivable Factoring. Here’s how it works: A small business would sell their receivables – their customer invoices –to Liquid Capital. We give the SBE the money owed on those invoices, minus a “reserve,” which is a percentage of the invoice amount. Their customers then pay their invoice directly to us, at full value, according to the payment terms established when the sale was made. Then we refund the “reserve” to our clients, minus our fee. Some clients factor all their receivables; others pick and choose. Another real popular program is our Purchase Order Financing. As you know, unless you have a large line of credit, many suppliers won’t fill an order unless the SBE pays up front. Other suppliers require full payment at the time the product ships. But without sufficient working capital, many SBEs can’t meet these terms. We solve that problem by financing up to 100% of the cost of the product — in advance. We have other services, too, such as Asset-Based Lending (ABLs), purchase finance, export factoring, equipment financing, even international factoring. As I mentioned earlier, our primary market is B2B companies, but we’re in the early stages of rolling out services for B2C companies, as well. Dan: Can you tell us a bit about the cost of financing with Liquid Capital? Tom: The cost is variable and dependent on a number of factors. For instance, for A/R Factoring we review the credit worthiness of the customer being invoiced, how old the receivables are: past due or not, payment history, etc. The best thing your readers could do is to contact me & we can review their business and see how I can develop a solution that meets their particular needs. Dan: In closing, let’s say the owner of an SBE is reading this post; what should their take-away be? Tom: What’s important for small businesses to know is there are ways to finance their growth beyond the traditional bank-lending model, or by having to sell equity. Liquid Capital has been operating since 1999. We have hundreds of stories of companies who have thrived thanks to our services. Without us, many businesses have to turn down new business, so it’s a great feeling to be able to help companies move forward. Dan: Thanks Tom, I can see why you’re excited. I think you provide a service that’s critical for SBEs to check into. In this economy you don’t want to lose an opportunity because you do not have access to capital! In fact I highly recommend readers contact you, fill out whatever application you require ASAP so they can be prepared to finance any worthwhile new business opportunity that might come down the road. Happy Holiday’s & Godspeed to All! Remember: It’s always better to Be Ready than to Get Ready!